Over the past 50 years the average size of a newly built house in the U.S. has grown to more than 2,400 square feet of living space. While this trend is continuing across the majority of the country, some Americans are looking to buck that trend and upgrade their lifestyle by downsizing their home. 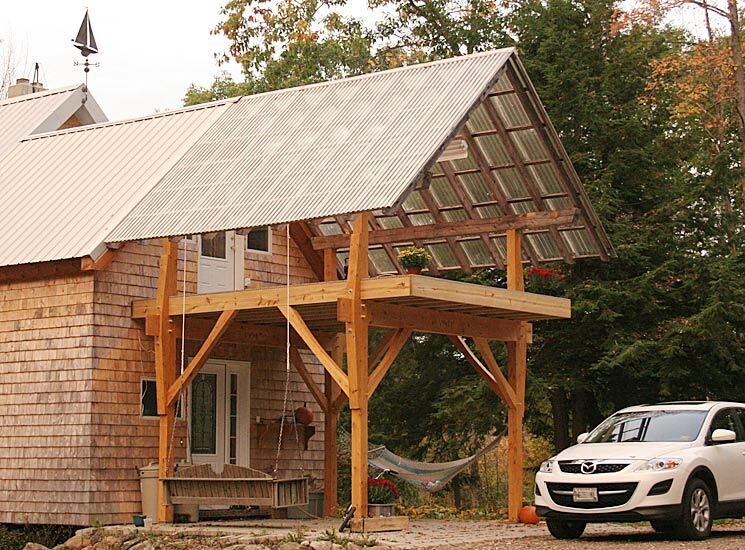 Spending a few minutes online searching for ‘tiny homes’ and ‘off-grid living’ you’ll find thousands of websites and message boards that are dedicated to the tiny house movement. The internet is filled with ambitious DIY-ers sharing their secrets to tiny living bliss, and offering great tips and tricks for those just arriving on the scene. You’ll find everything from hints about where to find reclaimed wood for flooring to ideas about most efficient way to store children’s toys in small spaces. 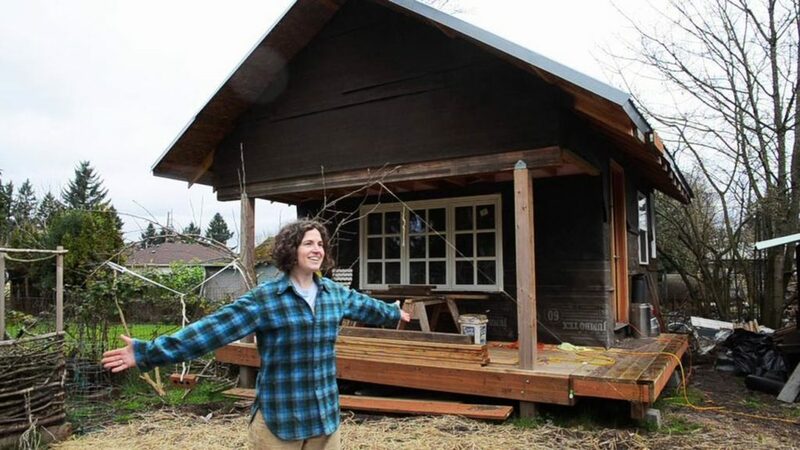 While these blogs and forums make the tiny house community one of the strongest in the world, the reality is that a large portion of the population may not know the intricacies of building their own home from scratch. So that raises the question, if you want a tiny home but don’t feel comfortable tackling the design yourself, what are your options? Well, luckily the community has thought of this as well and offers a wide range of pre-made tiny home kits for first timers. These kits come with detailed plans and instructions as well as all the materials (wall panels, roofing, windows, etc.) you’ll need to start enjoying your own tiny lifestyle. Now before we dive in we do want to mention that these kits are meant to help you with the structure. You will still need to hire a professional or two to help you install the internals (think plumbing, electrical wiring, HVAC, etc) and make sure everything’s up to code. But with that said, these kits really are a bargain. To give you an idea of the potential savings consider this; the median U.S. home value is nearly $190,000 and these home kits all start at $25,000 or less! Alright, so we’ve overcome the hurdle of cost, design, and construction but we’ve still got a few more considerations before diving in. Even though these homes are easy on the bank account and easy to assemble, there are potential restrictions on where you can build them. Unfortunately, many towns have minimum size requirements (fore both structures and lots) that can potentially make your tiny home illegal. 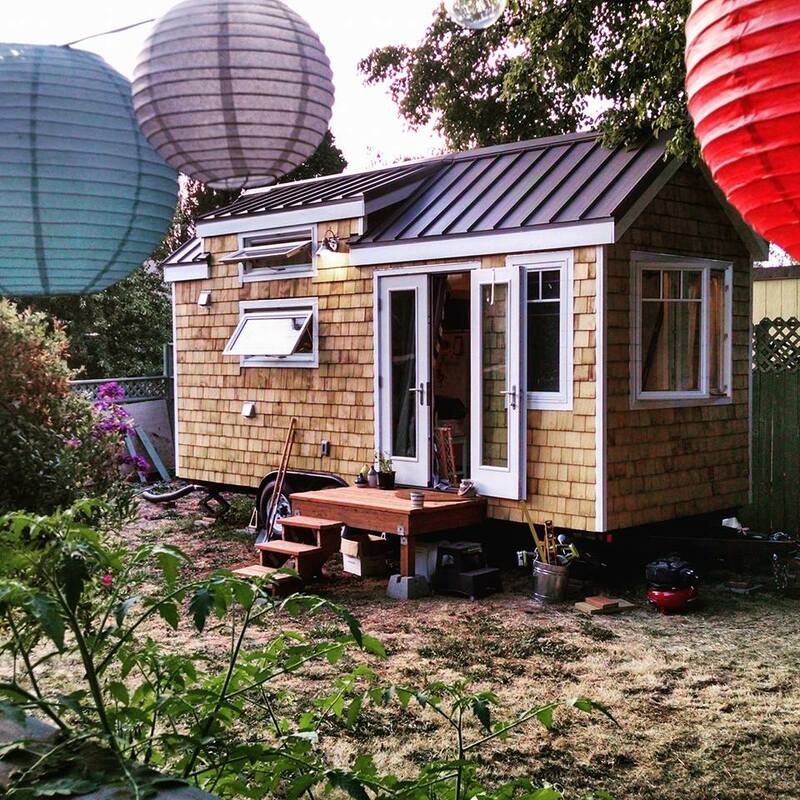 In Vancouver this resident was forced to learn their town’s zoning laws the hard way when the council ordered the removal of his a 250-square-foot tiny home that he had built in his backyard and rented to summer tourists. And while you may be thinking that a trailer park or RV campsite will be your answer, be aware some sites also have surprisingly strict rules. The American Tiny House Association offers some very useful general guidelines for different areas, but if you want to be certain it is best to check directly with your local authorities before you build. Last but certainly not least, before you take the leap into tiny home ownership, you should really consider giving the tiny lifestyle a try on the short-term before fully committing. Downsizing to less than 400 sq. ft. can be challenging even for the most frugal among us. Check out these tiny-house rentals before you buy a full kit to see if the small space works for you. Alight! Now that was a lot of information to take in but if you’re still up for building your own tiny home you have a pretty clear idea of what lies ahead. Ready to get started? 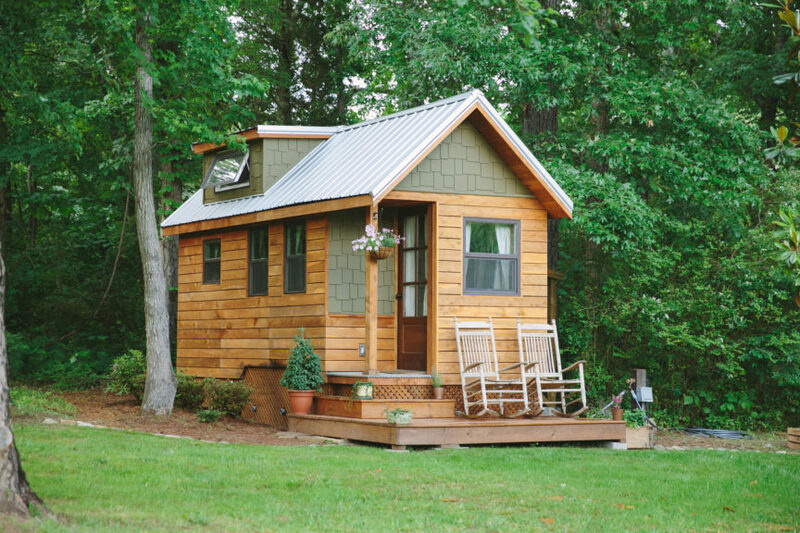 Keep scrolling to check out 6 budget tiny homes perfect for first time buyers! These kits will provide buyers with structure that can range in size from a very cozy 8-by-8-foot shed (which can be used as a gatehouse or bathhouse) all the way up to a not so tiny 32-by-36-foot barn. The units are shipped as pre-built panels that are then assembled on-site. The model pictured above is a 12-by-16-foot bungalow and comes in at very wallet friendly $25,000. 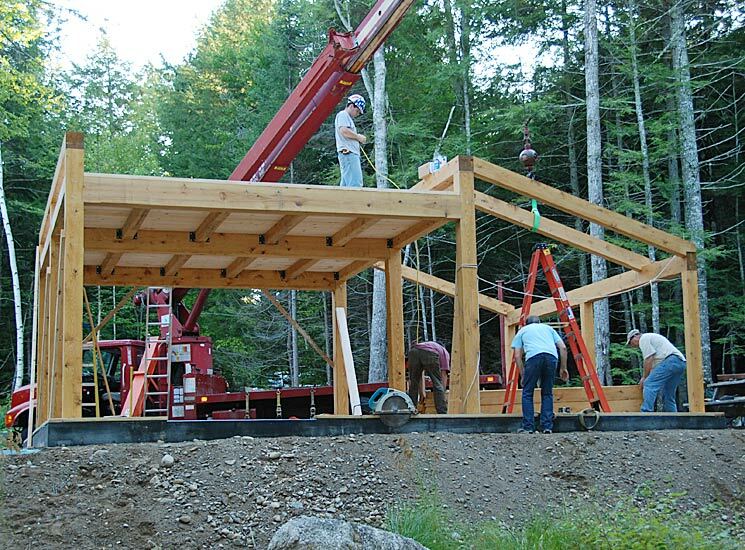 While the smaller buildings can be built up by hand, we’d definitely recommend commissioning a crane for the larger structures as they have several pieces that are just too large to handled without a little extra mechanical strength. This unit is a shell unit so be prepared to source insulation, electrical wiring, and plumbing once the base structure is complete. Looking for something a little more unique that a simple cabin? Then Easy Domes just might be for you. These structures are built up using a combination of 21 hexagons and pentagons that are held together by metal fasteners. 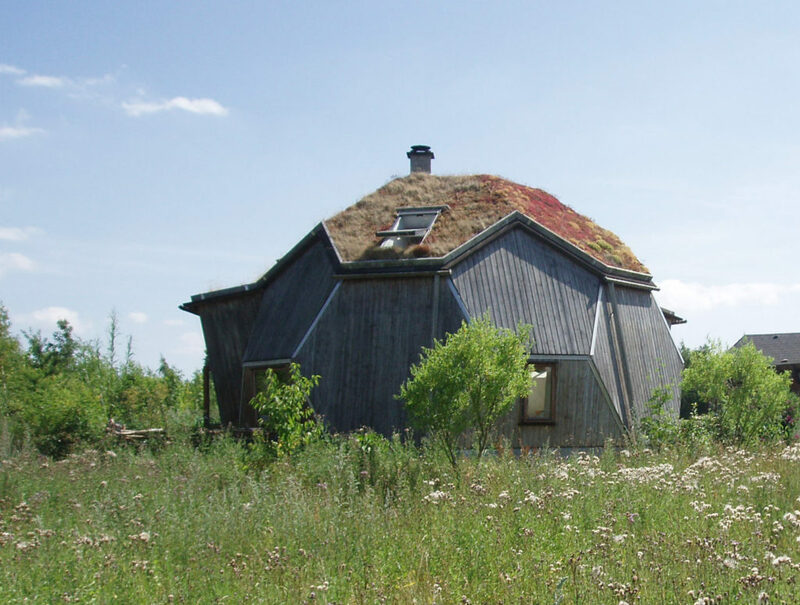 Even the small dome has an upper loft area that’s large enough for a double bed meaning you can free up 100% of the floor space for daily living. The shelter-kit cabins offer the pinnacle of simplicity and can be built without the use of power tools making them an ideal solution for true beginners. The units start at just $13,900 and range in size from 144 square feet to over 1,500 square feet. Each kits come with everything you need to complete the shell including hardware, trim materials, and fasteners. Some additional necessities such as windows and doors can also be added to the kit but come at an additional cost. The company claims that a team of two can build the cabin from the ground up in about four days and that no previous experience is require. 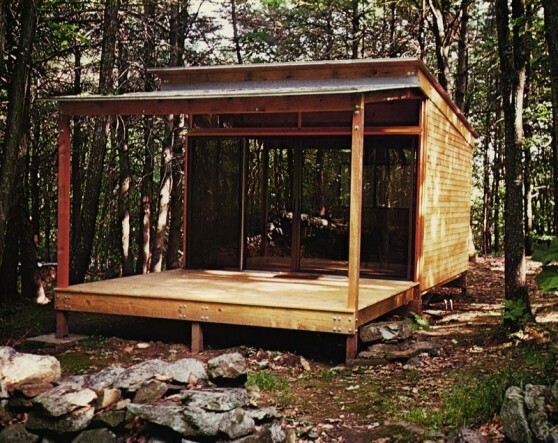 Want to enjoy even more freedom with your tiny home? 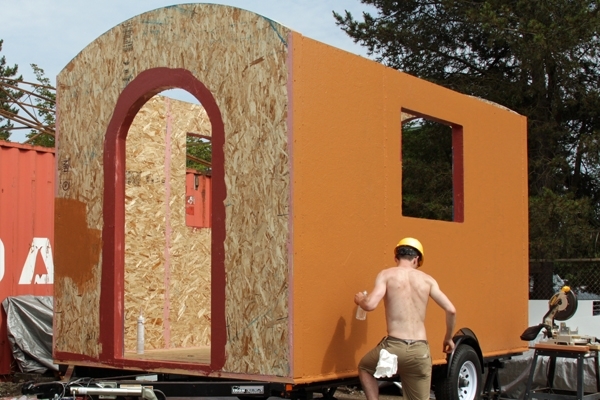 Why not give a THOW (Tiny Home on Wheels) a try! 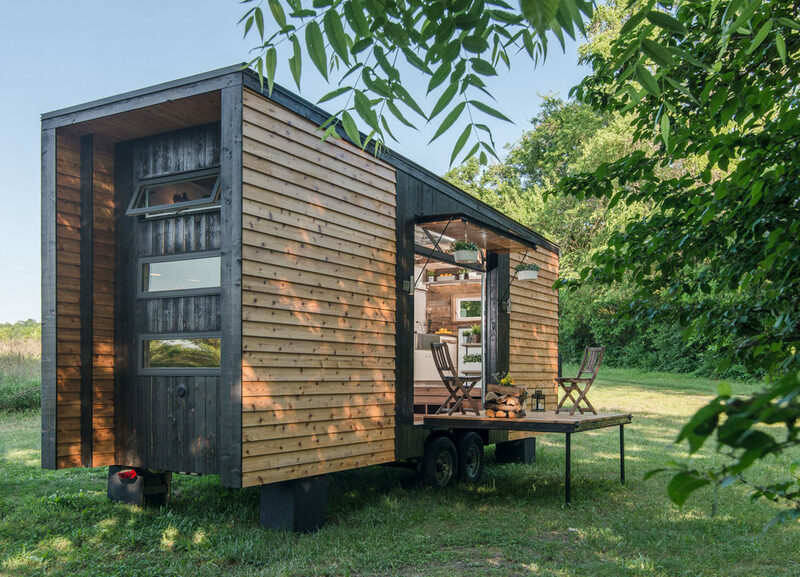 These designs from Artisan Tiny Homes are built on custom trailers meaning they’re ready to go wherever you go. Buyers have the option to buy a THOW kit or they can purchase the plans and source the materials themselves, a great option to save some money if you know where to get restored materials. The unit’s trailer, side panels, and roof can all be picked separately adding a nice degree of customization and a standard combination starts at $19,000 for a 128 sq. ft. home. This kit really does provide everything you need to build your tiny home structure; it comes with a trailer, insulated panels, lumber and fasteners. And if you’re not sure you can assemble it all yourself, the company can even provide you with a construction supervisor for an additional fee. 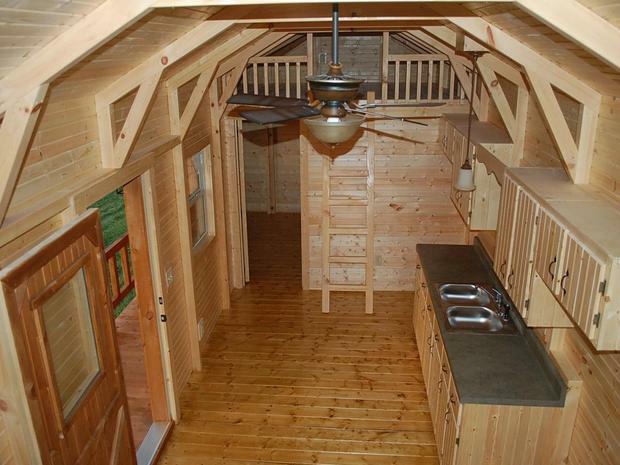 A cozy one-room cottage in either 16 feet by 20 feet or 16 feet by 24 feet is what you can expect from Vermont Cottage. Their units have an adorable porch and a very well thought out loft area that makes the space feel much larger than you’d expect. The cabin kits come with all the hardware you’ll need to fully assemble the shell and if you find yourself stuck, the company has a toll-free support line that can guide you through any issues that arise on the project. The units start at $9,670, and have a wide range of upgrades and customization options available such as different roof colors/materials ($50 to $2,228), an insulation package ($8,432) and even a hurricane protection package ($449). Finally if you are looking for an option that’s a little more rustic, this log cabin weekend retreat is the perfect option. Designed to maximize space and minimize materials the kit comes with everything you could possibly need to complete the shell including doors and windows (something you really should consider when comparing prices). 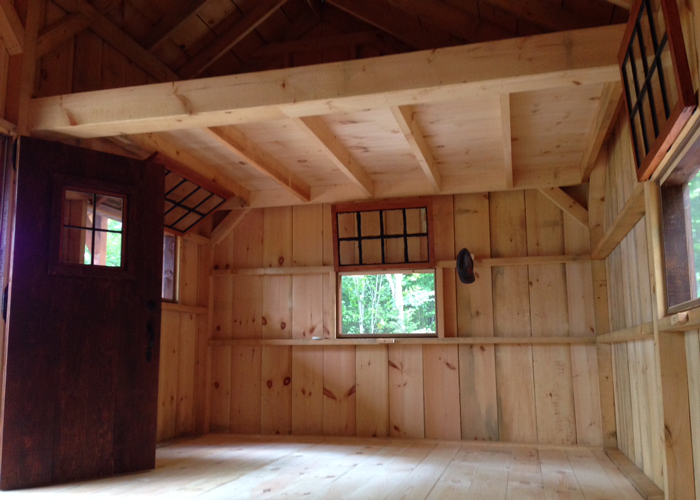 It has a lovely loft area that frees up the entire ground floor and wall panels comes pre-insulated. 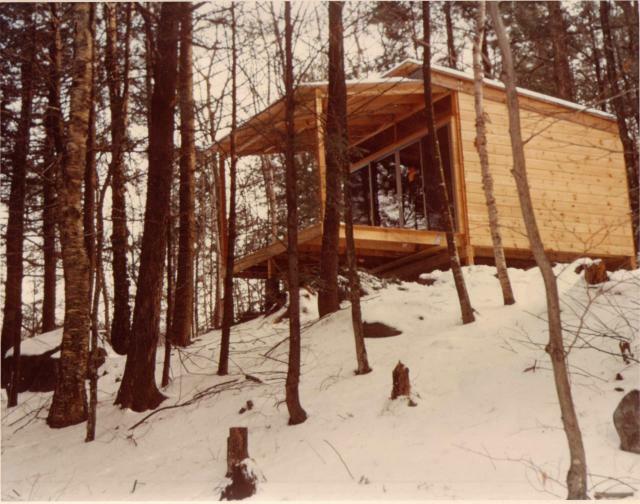 A cabin with 392-square-feet of space will come in at about $18,800 and additional features are available for upgrades including dormer windows and stylized interior walls. 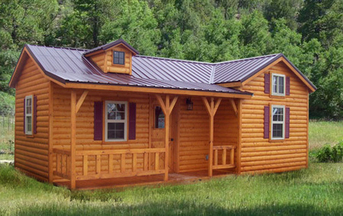 If you’ve always dreamt of having your own log cabin this is the option for you! So there you have it, 6 unique and wonderful options that can get virtually anyone (no matter their technical skill level) active in the tiny home scene. 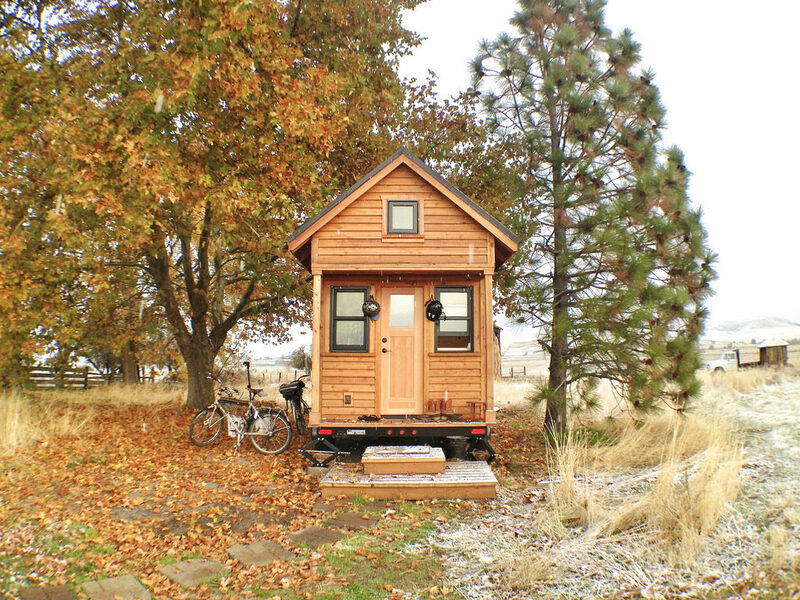 Want even more tiny home news? Be sure to follow Tiny Homes LTD on Facebook, Twitter, and Instagram for all the latest updates! Wow! I am so impressed with the author’s knowledge of Tiny Homes. I am very eager to learn more and to continue checking your informative website for further posts. Love it! A great new way of living! We’re aiming to have a new post each week so make sure you sign up for our newsletter to make sure you don’t miss out! I’m low budject I want a tiny home I’m disable so I need wider doors in in a power chair no up stair in less for grandkids 400 sq ft would like to know what kid of cost I’m looking at I would want it furnished to my satisfaction open up lots of windows want it hurricane safe maybe closed shutters on Windows I live in Baytown Houston Texas 77521 I’m 61 yrs old I’ve got a anuities that kick in in 2020 so I’m shopping around to buy a tiny home don’t know where I put it yet so thank you for showing this. Thank you so VERY much for the information!! I live and support my family on a budget based off of my disability and thought I would never have the opportunity to own my own home. I’ve been researching and downsizing in hopes of fulfilling my dream one day very soon. After reading your article I’m convinced that I WILL be able to own a permanent home for my children and I. Thank you and may God bless you!